Green House Connected With Keys Security PowerPoint Templates And PowerPoint Themes Presentations-"Microsoft Powerpoint Templates and Background with green house connected with keys"-Green House Connected With Keys Security PowerPoint Templates And PowerPoint Themes PresentationsThis PPT can be used for presentations relating to-"Green house connected with keys, business, security, family, children, shapes" Consumer connect with our Green House Connected With Keys Security PowerPoint Templates And PowerPoint Themes 0912. Enhance customer connectivity of your thoughts. Increase the output of your factory. Explore avenues available with our Green House Connected With Keys Security PowerPoint Templates And PowerPoint Themes 0912. Render Of Green House Connected With Keys Sale PowerPoint Templates And PowerPoint Themes 1012-"Microsoft Powerpoint Templates and Background with green house connected with keys"-Render Of Green House Connected With Keys Sale PowerPoint Templates And PowerPoint Themes 1012-This PowerPoint template can be used for presentations relating to-"Green house connected with keys, real estate, security, success, business, shapes" Our Render Of Green House Connected With Keys Sale PowerPoint Templates And PowerPoint Themes 1012 have just about everything. Just think of it and you'll find it in them. 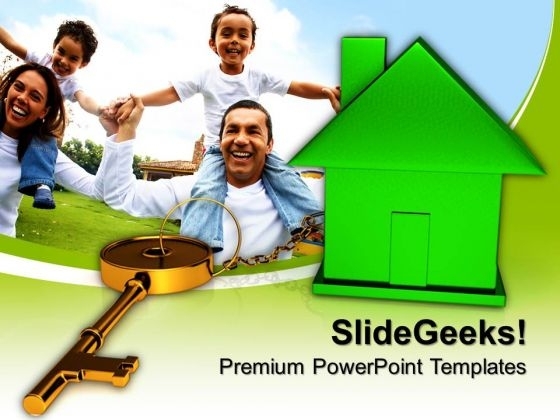 Rebuild your team with our Render Of Green House Connected With Keys Sale PowerPoint Templates And PowerPoint Themes 1012. Download without worries with our money back guaranteee. Green House Connected With Keys Business PowerPoint Templates And PowerPoint Themes 1012-Create visually stunning and define your PPT Presentations in a unique and inspiring manner using our above template which contains a graphic of a green house connected with keys. This image represents the concept of security. It portrays the concept of building, chain, development, investment, mortgage, residential etc. Our unique image makes your presentations professional showing that you care about even the smallest details. Create captivating presentations to deliver comparative and weighted arguments.-Green House Connected With Keys Business PowerPoint Templates And PowerPoint Themes 1012-This PowerPoint template can be used for presentations relating to-"Green house connected with keys, Security, Symbol, Design, Chains, Business" Reengineer your vision with our Green House Connected With Keys Business PowerPoint Templates And PowerPoint Themes 1012. Download without worries with our money back guaranteee. Display performance improvement with our Green House Connected With Keys Business PowerPoint Templates And PowerPoint Themes 1012. They will make you look good.